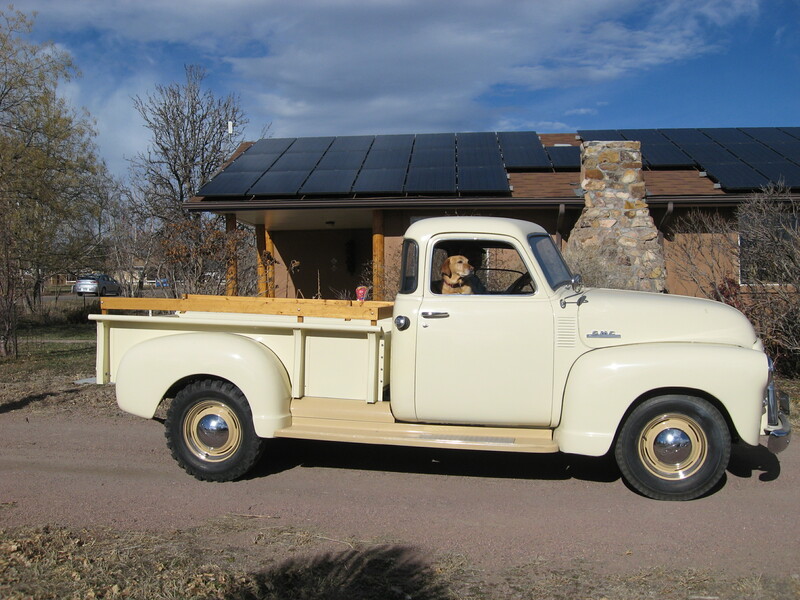 Two big projects happened this past week. 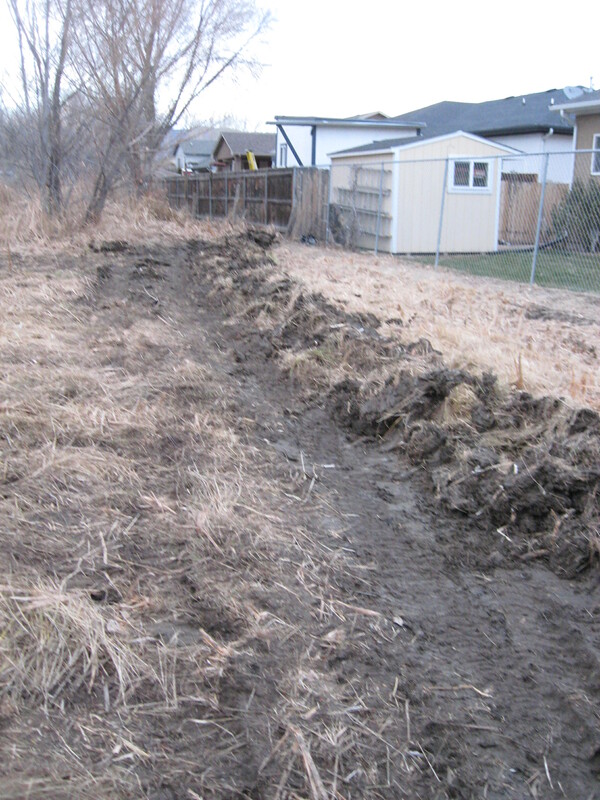 Chris and my Dad worked on cutting in a new irrigation ditch in a problem section of the pasture behind Dad’s house. Cows were pastured in this field behind my folk’s property and they totally destroyed the original irrigation ditch to the point you could not even tell where it had been. On top of that, because the ditch didn’t function like it was supposed to, the surrounding area of the pasture turned into a marsh and cattails had taken over. Cattails and water were both coming into my parents property to the point of threatening to damage their house foundation. That was during this past summer and fall. 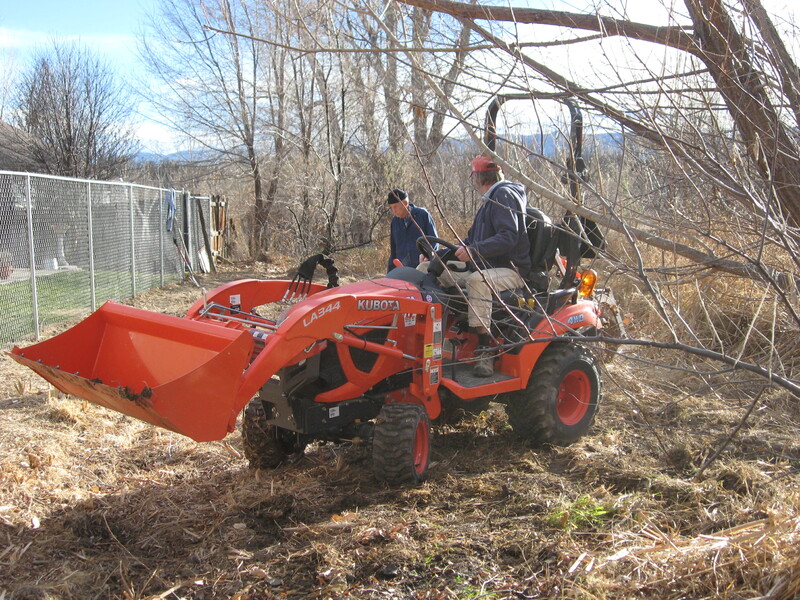 We’ve been waiting for the area to dry out enough that Chris could get Poppy the tractor in to cut a new irrigation ditch without getting stuck in the mud. This week it was dry enough, at least we thought, to do the project. 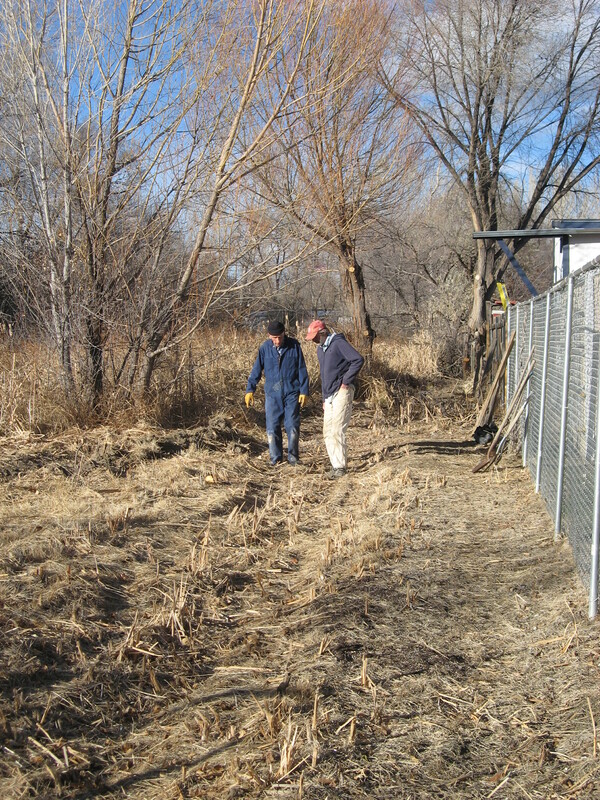 Chris and Poppy plowed in a ditch and then worked to bank up the mud as a dam to further protect Mom and Dad’s property. That is when things started to go downhill. 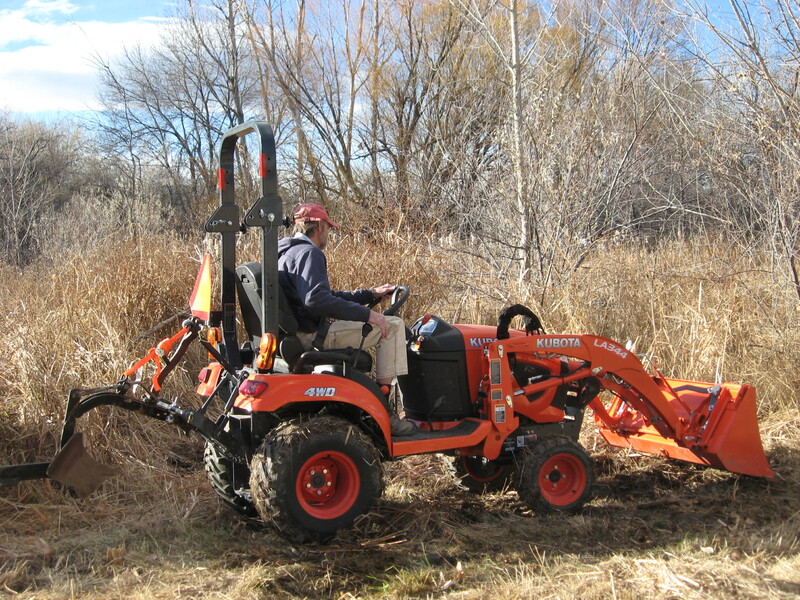 The ground was still too muddy once you got about 6″ deep and again the tractor was at risk of getting stuck. So, the ditch is to this point, but now we must wait some more time until it dries out more and then Chris and Poppy will go back and finish making the ditch a bit deeper and make sure the water will have a good flow of gravity to it so that it won’t back up anymore and hopefully the marsh will be restored to pasture once more. 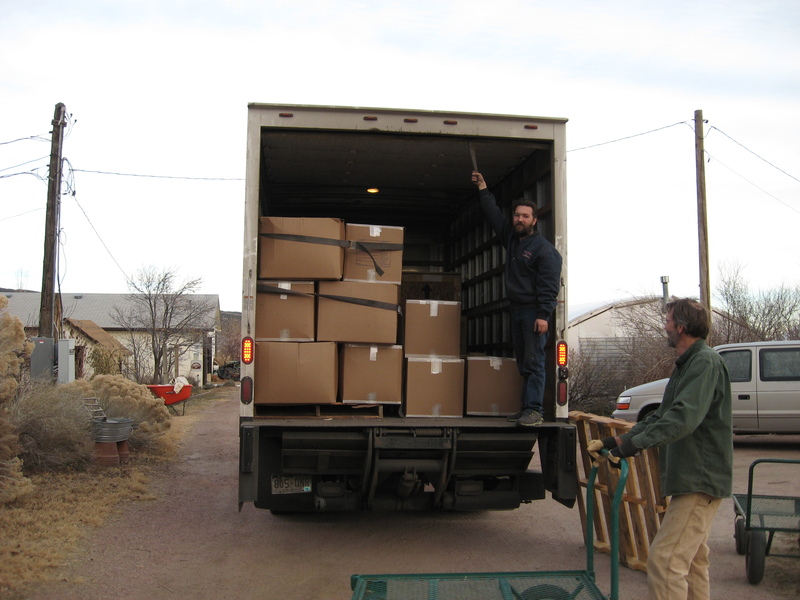 This week we also finished up the seed harvest boxing and on Thursday the seed was picked up and is now on its way to Germany to Jelitto Perennial Seed Company. That is the company we grow our perennial seed crops for. 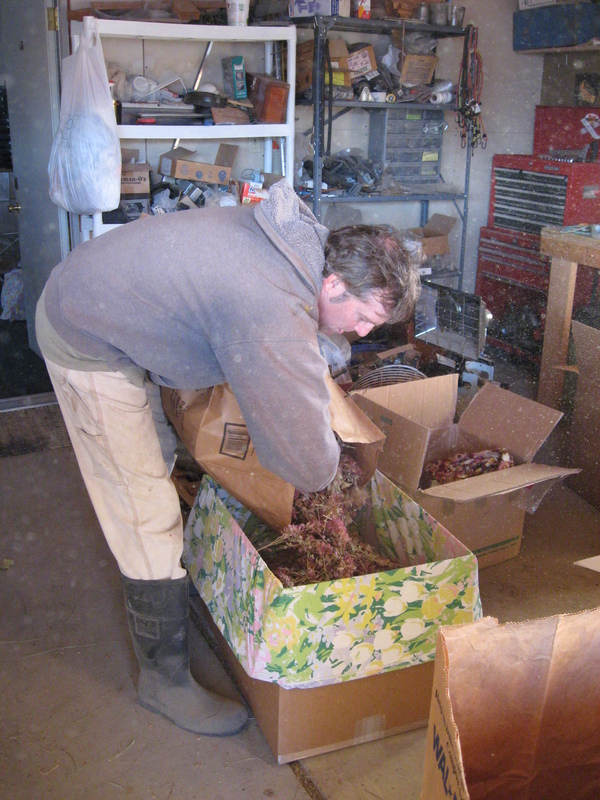 Chris is boxing up the Mojave Sage in this picture. Loaded on the truck and headed to the airport and an international flight to Germany. Yahoo!! Chris and Shrek celebrated by making a “beer run”. Stay warm and enjoy the first week of December!